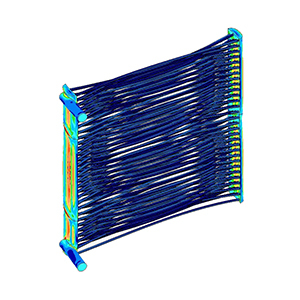 FEA-Solutions (UK) Ltd - Finite Element Analysis For Your Product Design | 055: Tubular Heat Exchanger Heat transfer, stress, modal and frequency response analysis of a tubular heat exchanger. The analyses resulted in recommendations on an improved design. After implementation, a subsequent FEA confirmed that the modified design.